Sir Kenneth Percy Bloomfield KCB (born 15 April 1931) is a former Head of the Northern Ireland Civil Service who was later a member of the Independent Commission for the Location of Victims' Remains and for a time Northern Ireland Victims Commissioner. In addition to this, he has held a variety of public sector posts in Northern Ireland and elsewhere. 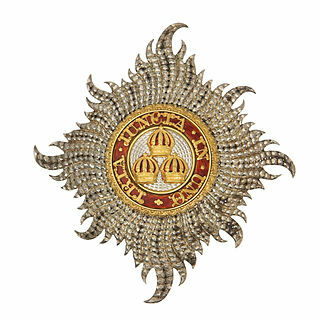 The Most Honourable Order of the Bath is a British order of chivalry founded by George I on 18 May 1725. The name derives from the elaborate medieval ceremony for appointing a knight, which involved bathing as one of its elements. The knights so created were known as "Knights of the Bath". George I "erected the Knights of the Bath into a regular Military Order". He did not revive the Order of the Bath, since it had never previously existed as an Order, in the sense of a body of knights who were governed by a set of statutes and whose numbers were replenished when vacancies occurred. There has been a Head of the Northern Ireland Civil Service since Sir Ernest Clark was appointed the first holder of that office in 1921. As of 2017 and according to the Executive Office, the Head of the 23,500-people strong NICS "has primary leadership responsibility for creating, developing and sustaining the NICS as an organisation which serves the devolved administration, the institutions of government and the people of Northern Ireland through the provision of high quality, cost effective services." The incumbent is also Permanent Secretary of the Executive Office and Secretary to the Northern Ireland Executive, making the office-holder the "most senior adviser to the First Minister and the deputy First Minister". 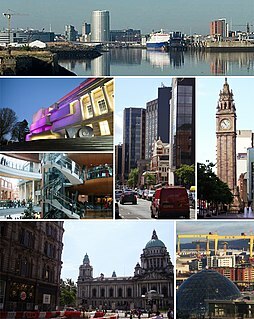 The Northern Ireland Civil Service is the permanent bureaucracy of employees that supports the Northern Ireland Executive, the devolved government of Northern Ireland. Neill's Hill railway station is a disused railway station / halt on the main line of the Belfast and County Down Railway. It ran from Queen's Quay, Belfast south to Newcastle, County Down in Northern Ireland. The Royal Belfast Academical Institution, is a grammar school in Belfast, Northern Ireland. Locally referred to as Inst, the school educates boys from ages 11 to 18. It is one of the eight Northern Irish schools represented on the Headmasters' and Headmistresses' Conference. The school occupies an 18-acre site in the centre of the city on which its first buildings was erected. The Department of the Environment was a devolved Northern Irish government department in the Northern Ireland Executive. The minister with overall responsibility for the department was the Minister for the Environment. Her Majesty's Principal Secretary of State for Northern Ireland, informally known as the Northern Ireland Secretary, is the principal secretary of state in Her Majesty's Government with responsibilities for Northern Ireland. The Secretary of State is a Minister of the Crown who is accountable to the Parliament of the United Kingdom and is the chief minister in the Northern Ireland Office. 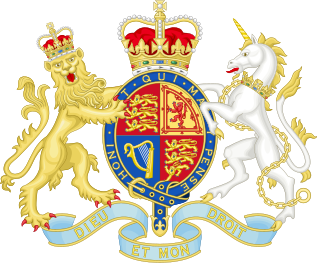 As with other ministers, the position is appointed by the British monarch on the advice of the Prime Minister. Since retiring from the Civil Service, Bloomfield has embarked on a life of involvement in a diverse range of organisations. He has taken up roles such as Chairman for the Northern Ireland Legal Services Commission and his alma mater, the Royal Belfast Academical Institution. He has also been involved in the political reform of the States of Jersey and spearheaded the Association for Quality Education, which is fighting to retain academic selection in the Northern Ireland education system. In December 1997 he was asked by the then Secretary of State for Northern Ireland, Mo Mowlam, to become the Northern Ireland Victims Commissioner for a fixed term. His role was to produce a report on the way forward for Victims issues in Northern Ireland. His report entitled We Will Remember Them was published in April 1998. From 1991 to 1999 he served as the BBC's National Governor for Northern Ireland. 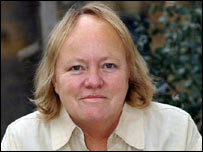 Marjorie "Mo" Mowlam was an English Labour Party politician. She was the Member of Parliament (MP) for Redcar from 1987 to 2001 and served in the Cabinet as Secretary of State for Northern Ireland, Minister for the Cabinet Office and Chancellor of the Duchy of Lancaster. Bloomfield received a Knighthood in the 1987 Queen's Birthday Honours and has received honorary doctorates from Queen's University, Belfast the Open University and the University of Ulster. He is also a Member of the Royal Irish Academy. The Royal Irish Academy, based in Dublin, is an all-Ireland, independent academic body that promotes study and excellence in the sciences, humanities and social sciences. It is one of Ireland's premier learned societies and cultural institutions, and currently has around 501 members including Honorary Members, elected in recognition of their academic achievements. The Academy was established in 1785 and granted a royal charter in 1786. The Royal Ulster Constabulary was the police force in Northern Ireland from 1922 to 2001. Following the awarding of the George Cross in 2000, its formal title became the Royal Ulster Constabulary, GC. It was founded on 1 June 1922 as a successor to the Royal Irish Constabulary (RIC). At its peak the force had around 8,500 officers with a further 4,500 who were members of the RUC Reserve. During the Troubles, 319 members of the RUC were killed and almost 9,000 injured in paramilitary assassinations or attacks, mostly by the Provisional IRA, which made the RUC, by 1983, the most dangerous police force in the world in which to serve. In the same period, the RUC killed 55 people, 28 of whom were civilians. James Craig, 1st Viscount Craigavon, PC, PC (NI) DL, was a prominent Irish unionist politician, leader of the Ulster Unionist Party and the first Prime Minister of Northern Ireland. He was created a baronet in 1918 and raised to the Peerage in 1927. Basil Stanlake Brooke, 1st Viscount Brookeborough,, styled as Sir Basil Brooke, 5th Baronet, from 1907–52, was an Ulster Unionist Party (UUP) politician who became the third Prime Minister of Northern Ireland in May 1943, holding office until March 1963. Colonel Timothy Thomas Cyril "Tim" Collins, OBE is a retired Northern Irish military officer in the British Army. He is best known for his role in the Iraq War in 2003, and his inspirational eve-of-battle speech, a copy of which apparently hung in the White House's Oval Office. He is currently Chairman of intelligence-based security services company Pinpoint Corporate Services. Maurice Hayes was an Irish public servant and, late in life, an independent member of the 21st and 22nd Seanads. Hayes was nominated by the Taoiseach, Bertie Ahern, in 1997 and re-nominated in 2002. He also served, at the Taoiseach's request, as Chairman of the National Forum on Europe in the Republic of Ireland. Monica Mary McWilliams is a Northern Irish academic and former politician. Robert Raymond Davey was a Presbyterian minister in Northern Ireland and the founder of the Corrymeela Community. He was educated at the Royal Belfast Academical Institution, Queen's University Belfast, Union Theological College, and New College, Edinburgh. He was married to Kathleen Davey, who died on December 19, 2008. John Harold Hewitt, who was born in Belfast, Northern Ireland, was the most significant Belfast poet to emerge before the 1960s generation of Northern Irish poets that included Seamus Heaney, Derek Mahon and Michael Longley. He was appointed the first writer-in-residence at Queen's University Belfast in 1976. His collections include The Day of the Corncrake (1969) and Out of My Time: Poems 1969 to 1974 (1974). He was also made a Freeman of the City of Belfast in 1983, and was awarded honorary doctorates the University of Ulster and Queen's University Belfast. Sir Samuel Knox Cunningham, 1st Baronet, QC, was a Northern Irish barrister, businessman and politician. As an Ulster Unionist politician at a time when the Unionists were part of the Conservative Party, he was also a significant figure in United Kingdom politics as Parliamentary Private Secretary to Harold Macmillan. His nephew was Sir Josias Cunningham. The Independent Commission for the Location of Victims' Remains (ICLVR) was established by treaty between the United Kingdom Government and the Government of Ireland, made on 27 April 1999 in connection with the affairs of Northern Ireland, in order to locate 16 missing Irish and British people presumed murdered during The Troubles. Major The Rt Hon. John Maynard Sinclair was a unionist politician in Northern Ireland. Born in Belfast, in 1896, son of John Sinclair DL and Alice Montgomery, he was educated at the Royal Belfast Academical Institution, and in Switzerland. He served in the British Army during World War I. He was a director of the Eagle Star Insurance Company and Chairman of Vulcanite Ltd.
Sir Richard Dawson Bates, 1st Baronet, known as Dawson Bates, was an Ulster Unionist Party member of the Northern Ireland House of Commons. Sir Wilfrid Bliss Spender was a British Army officer, colonial administrator and civil servant who helped re-organise the Ulster Volunteers (UVF) into the Ulster Special Constabulary and was responsible for laying the foundations for the civil service of Northern Ireland. He served as Secretary to the government of Northern Ireland from 1921-1925 and Permanent Secretary to the Ministry of Finance from 1925-1944. He was knighted in 1929. His wife, Lady Spender , was a member of the UVF Nursing Corps and worked in the Ulster Division Comforts Fund during World War I. Later in life Spender became a noted diarist. Professor Brice Dickson, a barrister from Northern Ireland, is Professor of International and Comparative Law at the School of Law, Queen's University Belfast. Formerly Professor of Law at the University of Ulster, he became the first Chief Commissioner of the Northern Ireland Human Rights Commission (NIHRC) on its establishment in 1999, serving two three-year terms. Belvoir Park Hospital was a cancer treatment specialist hospital situated in Newtownbreda, South Belfast, Northern Ireland. Belvoir Park held Northern Ireland's only radiotherapy unit, until the opening of a new cancer treatment centre in Belfast City Hospital. George Boyle Hanna (PC, was an Ulster Unionist member of the Parliament of Northern Ireland. He represented Belfast Duncairn from 1949–1956. Christopher George Maccabe CB is a former Political Director of the Northern Ireland Office, and a former British Joint Secretary of the British Irish Intergovernmental Conference. Since 2006 he has been involved in conflict resolution and political development in various parts of the world, including Sri Lanka, Kosovo, the Middle East, Tanzania, Iraq, Lebanon, Cameroon and Colombia. He is a member of a team appointed by the Minister of Justice in Northern Ireland to oversee the August 2010 agreement between the Minister and dissident republican prisoners in Maghaberry Prison. He was a member of the International Verification Commission in the Basque Country that monitored the permanent ceasefire declared by ETA at the beginning of 2011. The Commission’s work came to an end in April 2017 when it oversaw ETA’s final act of decommissioning its weapons and explosive. He is a Director of the Forum for Cities in Transition (Belfast) Ltd, the Independent Chair of the Belfast Conflict Resolution Consortium; and a Director of the Centre for Democracy and Peace Building. He was educated at Brackenber House School, the Royal Belfast Academical Institution, Queen’s University Belfast and the University of London. He is the son of Max and Gladys Maccabe MBE, a renowned Irish artist. He is married to Jenny and has three children. 1 2 3 Bloomfield, Sir Kenneth (2008). A New Life. Belfast: The Brehon Press. ISBN 978-1-905474-26-4. ↑ Noel McAdam (24 August 2007). "Unity 'not unthinkable'". Belfast Telegraph. p. 2. ↑ Bloomfield, Sir Kenneth (2008). A New Life. Belfast: Brehon Press. p. Prologue. ISBN 978-1-905474-26-4. ↑ Sir Kenneth Bloomfield (April 1998). "'We Will Remember Them': Report of the Northern Ireland Victims Commissioner". Conflict Archive on the INternet. University of Ulster.